Hey Friday Peeps!!! How are ya? I took a break last Friday from the BEST OF because....um well, mainly because I just didn't have my stuff together. End of school, playing hostess, birthday parties, ectetera was too much. Did anyone read Jen Hatmaker's post that went viral? Yeah, that pretty much sums up to a "T" how I was last week, then add on all the other craziness we've got going on. Please don't mistake this for "glorifying our busyness"....far from it, I'm ready for it to sssssllllllooooooowwwwwwww down. That's what summer is for, right? 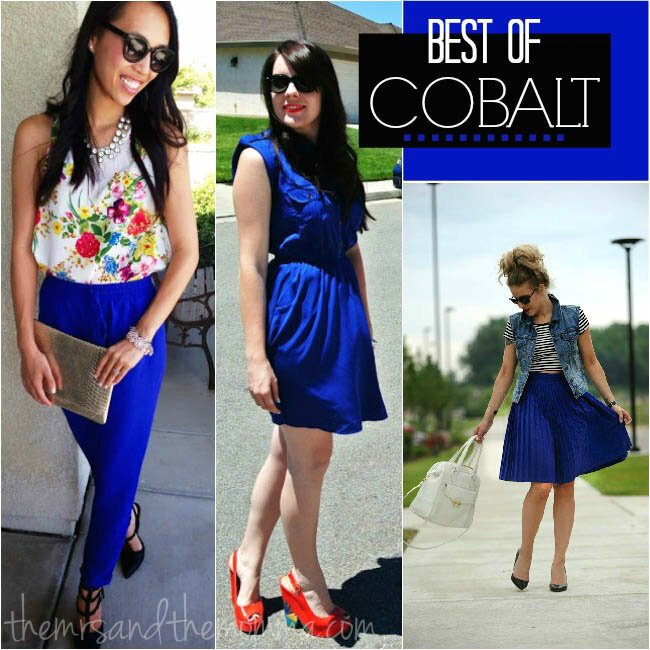 This week's BEST OF spotlight features a color that is super on trend right now and flatters every skin tone--->Cobalt Blue. This shade of blue is bolder than royal blue and gives a more sophisticated look to an outfit. Personally, it one of my favorites. From our Cobalt BEST OF picks this week, we see the color can speak for itself worn with floral, denim, stripes, making a BIG statement. I got these Cobalt heels (below) for $9 at Target about a year ago...one of my best cheap purchases ever...they go with everything! 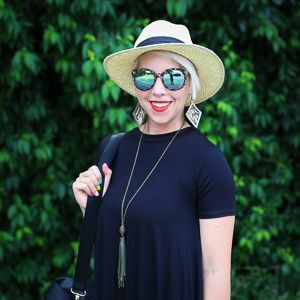 Here's some great Cobalt options to add to your closet...my favorite are those gorg Kendra Scott earrings...what's yours? I think blue is your color. This dress is beautiful on you! And just as a side note...I'm thinking I need a jean vest. Did you have it monogrammed??? 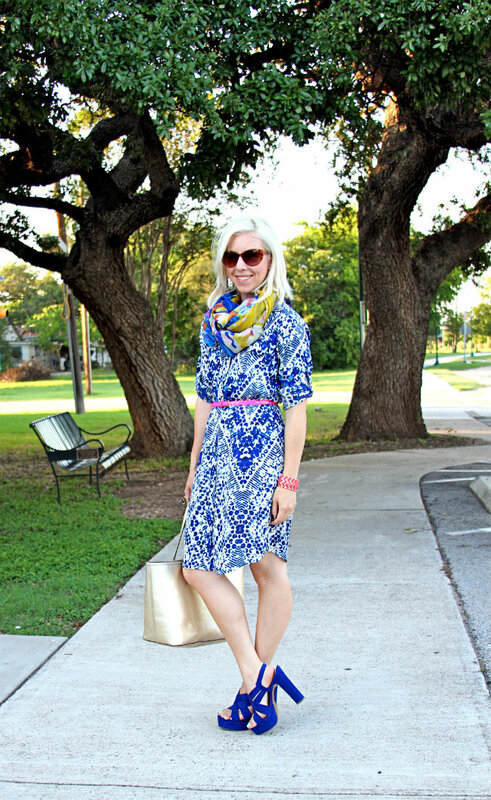 I love your cobalt shirtdress! That is too cute. And you are rocking those cobalt heels- love them! Thanks so much, Katie!!! So sweet of you! Great dress and beautifully accessorized. I love your style and your choice of colors are gorgeous. I am in shock...those heels are incredible. Target does it again! And the dress reminds me my days in Indonesia. Looks similar to Ikat print, which I adore. Your fashion inspires me. I have been following for quite some time and just realized I haven't joined your site. Newest follower and fan. I love those heels, so pretty! I am loving that cobalt trend! And the shoes are even better! Thanks girl!!! Cheap cute shoes are the best, aren't they? The cobalt trend is awesome! Your outfit is so cute - love your shoes. You're so gorgeous! Hey Callie! Thank you so much!!! I love that blue too! I love the pop of pink with you belt and the mixed prints with the scarf! LOVE those heels you have on!